Fall is the Perfect Time to Visit the Most Extreme National Park in the U.S.
Death Valley is known for extremes. The hottest temperature ever recorded on Earth was recorded here, at 129 degrees Fahrenheit, and it regularly hits the 100’s in the summer months. This stark and strange looking park is also home to the lowest elevation in the United States — Badwater Basin lies at 282 feet below sea level. It might not sound like a welcoming destination, but Death Valley is a fascinating national park to visit, especially in the fall when the temperatures are less suffocating. It’s an otherworldly looking place, with colorful canyons, sweeping salt flats, challenging mountain hikes, and so much more. Check out these photos from campers who visited Death Valley, and you might just be adding the most extreme national park to your Fall schedule. Image from The Dyrt camper Brian W.
Image from The Dyrt camper Darin L.
Image from The Dyrt camper Jen G.
Fall temperatures are milder at Death Valley National Park in the fall, but it’s still important to take precaution in this land of extremes. 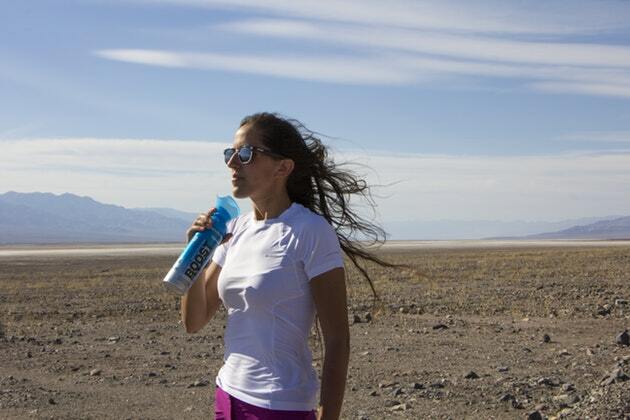 Bring plenty of water, take it slow, and carry a can of Boost Oxygen to help you feel energized while venturing from salt flats to mountain peaks.